Is it snowing in Mount Lyford ?¡Gracias! 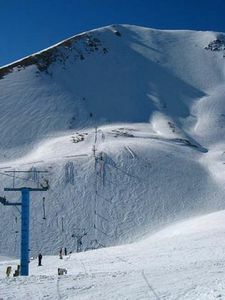 Mount Lyford Alpine Resort is situated approximately 1 hour 30 minutes by road north of the main city, Christchurch and its international airport. The area is ideally located at the southern end of the Seaward Kaikoura mountain range, between the thermal resort town of Hanmer Springs and the eco-tourism town of Kaikoura (only 50 minutes drive to either destination). There may only be a handful of surface lifts at Mount Lyford but these open up some excellent terrain packed with natural features and there is seldom a lift queue. 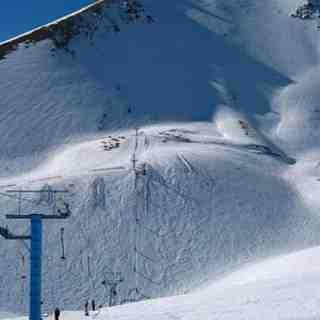 At Mount Lyford there is a terrain park, the infamous international tuck jump and a new pipe groomer for 2005. For those of us whom relish club atmosphere fields - Mount Lyford is one of the best that New Zealand has to offer. The snow gods were with us on our visit of 2008 with base of 400cm and 200cm of that being powder, only a dozen local 4wds and a blue bird day. Being a young student and not owning a flash ride, the ski field owner even towed us to the carpark as Billy the Civic could not handle the ride up - gotta love Kiwis.